HomeWhat Is Being Done About Street Lights? What Is Being Done About Street Lights? For quite some time now San Pedro Residents have been complaining about certain areas in town being poorly lit and other areas not having the streets lights fixed. It is a big concern as these areas are prone for criminal activities and for the safety off all one wonders who should be addressing this situation. 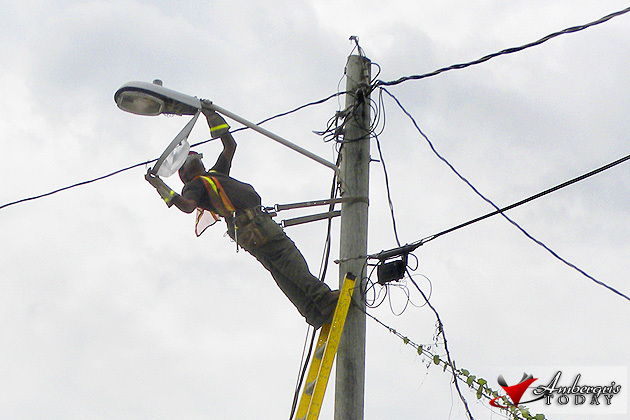 Should the town council take care of having proper lighting in dark areas or is it the responsibility of Belize Electricity Limited (BEL) to fix the street lights? Ambergris Today spoke to BEL’s Public Relations Officer, Vonetta Burrell and Councilor Nano Guerrero of The San Pedro Town Council, to clarify what is being done to address this situation. The San Pedro Town Council is in charge of ensuring that there is proper lighting in dark areas by coordinating petitions and carrying out surveys, after which it is addressed to the Ministry of Public Utilities and Ministry of Finance. Mr. Nano Guerrero, Town Councilor, explained that they had surveyed the island and in April of 2009 they made a request to the Ministry of Finance (MOF) that San Pedro needed 50 new street lights. But the Ministry of Finance did not approve the request since, according to the Ministry, there is a tight budget and could not accommodate such request at the moment. According to them, San Pedro Town was not the only place requesting new streets lights. 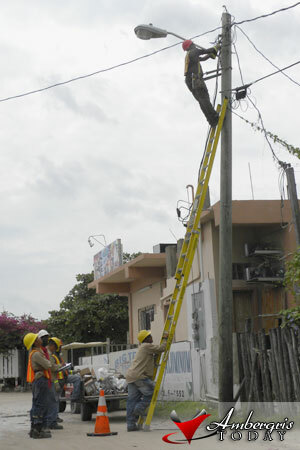 The San Pedro Town Council has been requesting for new street lights but can only do so much since the Ministry of Finance is the one that approves. 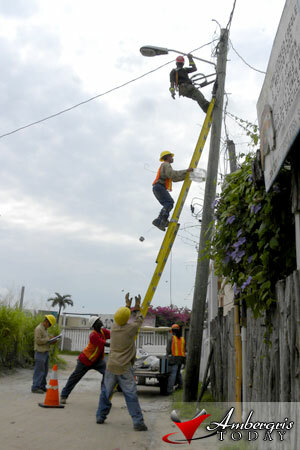 As for the repairs of street lights that are broken or not working, this is the responsibility of the electricity company. 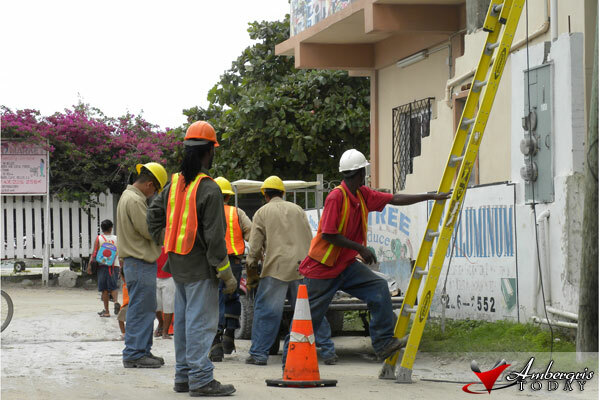 “BEL continues to place priority on street light repairs by conducting periodic surveys of street lights to identify those that are not functional,” commented Ms. Vonetta Burrell, BEL’s Public Relations Officer. 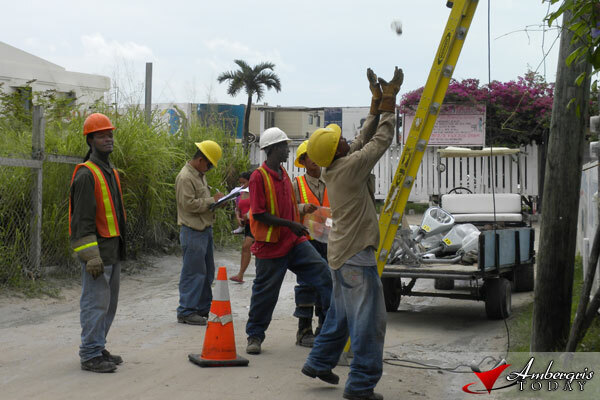 BEL’s street light repair procedure is very simple (i) Customer or Town/City/Village Council makes a report to BEL that a street light is not working (ii) A service order is created by BEL personnel (iii) Street light repair is scheduled and carried out. 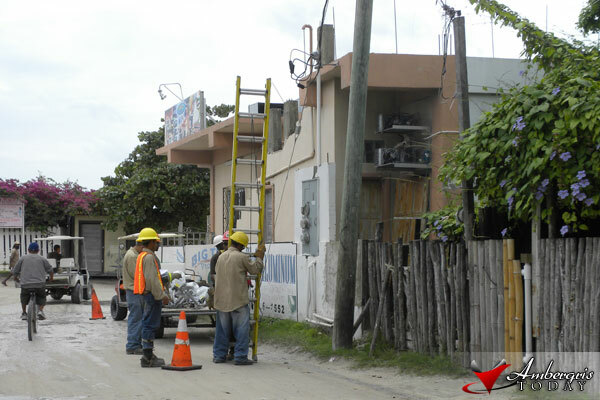 Action is being taken by both the San Pedro Town Council and the Belize Electricity Limited to ensure the proper lighting of dark areas; in the meantime we all have to come together and help our neighborhoods. If we need to put more lights out on our patios, let us do so. Let us be proactive and continue reporting any faulty street lights in our areas to either the San Pedro Town Council or BEL offices.